tomato puree (water, tomato paste), diced tomatoes, tomato juice, cooked beef crumbles (beef, water, salt), contains 2% or less of: sugar, salt, dehydrated onion, dehydrated garlic, spices, citric acid, calcium chloride. Looking for a robust and flavorful sauce that the whole family will savor? Slowly cooked with hearty beef, diced tomatoes, herbs & spices, this sauce is the perfect combination of nutrition and taste. I am old-fashioned and cook from scratch. When I make spaghetti sauce it can be a hassle because my granddaughter does not like all the ingredients I put in it such as bell pepper. My daughter purchased Classico a few months ago and I tried it for the first time. It was wonderful. 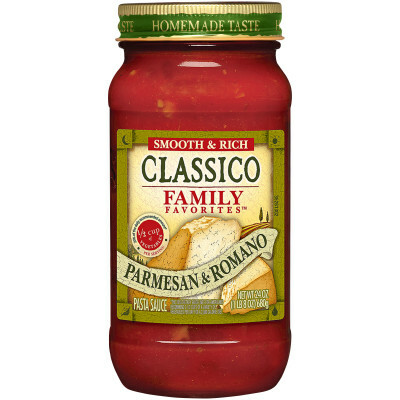 I do not like the other sauce that starts with a "P" but Classico is great and I definitely will use it again. 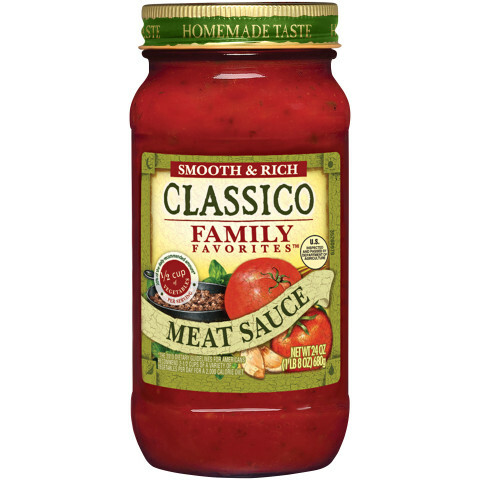 All of these Family Favorites are so much better than the other red sauces and incorporates perfectly with any pasta that accompanies it. This is really a robust and flavorful sauce that does not come with all of the calories and junk contained in other brands. I would never go back and use any other brand. 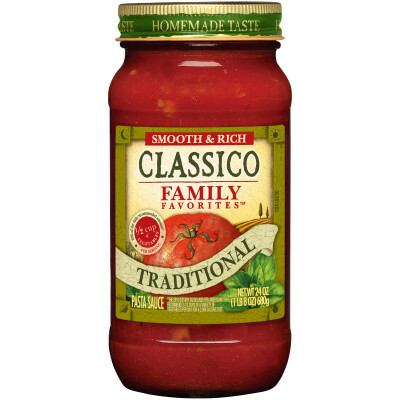 One thing my family knows is that when I decided to indulge in pasta, in my house, it know it will be accompanied with one of the Classico Family Favorites.